Happy Holidays from Schonfield Consulting! It's been a challenging year for many of us working in the social impact field, but as 2017 draws to a close we’re reminded of all the victories we've achieved together toward a more just, equitable, sustainable world. We’re so grateful to have worked with many of you to drive your missions forward. Thank you for the opportunity to share in your impact! Like you, we've had a busy year at Schonfield Consulting. Please read more to learn about new clients like Well Being Trust, new engagements with longtime partners like The Starbucks Foundation, and a new website highlighting the ways we help grantmakers and nonprofits achieve more impact. We also have new team members to introduce you to. Sending warm wishes for the holidays and a successful new year! Schonfield Consulting is supporting the Well Being Trust, a new national foundation promoting mental health and well-being. 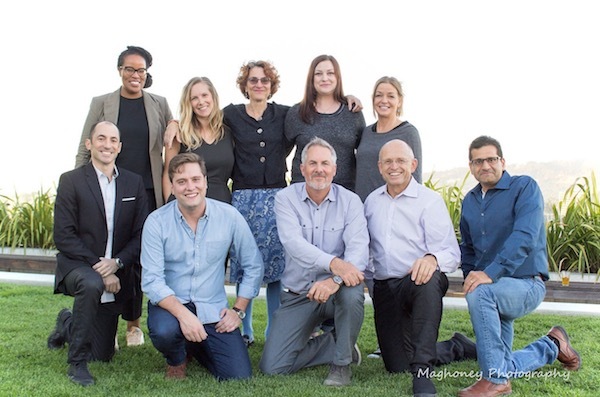 This startup foundation – based in Oakland with an $100+ million endowment – hired Schonfield Consulting to help with strategy, hiring staff, establishing initial grants and contracts, donor development, CEO support and other foundation operations. Previously, Schonfield Consulting assisted senior staff at the Starbucks Foundation to develop and implement a $4.5 million grantmaking program that supports coffee and tea-growing communities in Africa, Asia and Latin America. In November, I had the pleasure of working closely again with the team to facilitate a grantmaking strategy retreat (pictured).